Three-dimensional stomach tissue has been produced from mouse embryonic stem cells (read more HERE). Investigators added various growth factors to a culture of stem cells and 6 days later, stomach tissue was generated. After 60 days, the stomach tissue produced contained different types of stomach cells specialised in different functions, such as secreting a digestive hormone and gastric acid. 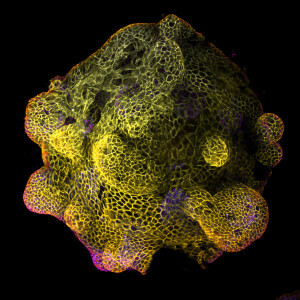 The authors state that these organoids – mini-stomachs – could be used to study various types of stomach diseases (Nature Cell Biology). La entrada Stomach organoids produced from mouse embryonic stem cells aparece primero en Observatorio de Bioética, UCV.